OPPO has announced the entry of K series with the launch of OPPO K1. The OPPO K1 will be available on Flipkart from 12th February for INR 16,990, and will come in two colour variants- Piano Black and Astral Blue. 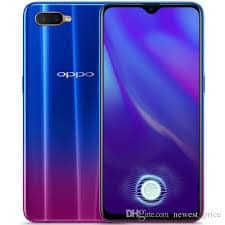 OPPO’s First smartphone from the K Series: OPPO K1 0 out of 5 based on 0 ratings. 0 user reviews.